A new US law that aims to tackle the national opioid crisis has been welcomed by FDA Commissioner Scott Gottlieb, who said it gives the agency new powers to stop illicit drugs imports. The SUPPORT for Patients and Communities Act – which was signed by President Trump this week – will help FDA intercept illegal medicines entering the US via international mail facilities (IMFs), said Gottlieb. The measures include a higher level of collaboration between the FDA's Office of Criminal Investigations (OCI) and US Customs and Border Protection (CBP). OCI special agents assigned to the IMFs intend to work more closely with CBP and FDA regulatory staff, which identify and refer suspect shipments, and with the Department of Justice, which brings criminal cases to prosecution. Because of the volume of packages at the IMFs, the FDA can only inspect a small percentage of potentially illicit items but, with the new authorities, “it will now be easier for FDA to detain, refuse and destroy unlabeled and undeclared imported products that are found to contain active ingredients or analogues of active ingredients that are in FDA-approved drugs,” continued Gottlieb. “This new authority will allow us to much more quickly remove these potentially dangerous drug products from the supply chain.” The move comes as the US served notice that it intends to withdraw from the Universal Postal Union (UPU), which provides for low rates for postal deliveries of small packages, on the grounds that it leaves the country vulnerable to counterfeit goods and other forms of illicit trade. Top of the hit list for illicit drug imports is fentanyl, super-strength synthetic responsible for a wave of overdose-related deaths in the US and around the world. Fentanyl is found in counterfeits of prescription drugs prone to abuse – such as oxycontin, hydrocodone and alprazolam – so is often taken inadvertently although it is sometimes sought out by addicts. The US National Institute on Drug Abuse shows that synthetic opioids, mostly fentanyl, were responsible for nearly 50 per cent of opioid-related deaths in 2016, passing prescription painkillers. “Given the volume of mail, the increasing sophistication of bad actors, and the amount of time it takes to inspect packages, the risks that illegal and dangerous drugs will get into the hands of unknowing consumers have grown significantly,” said Gottlieb. “In fiscal year 2017, 86 per cent of the packages that the FDA reviewed contained illegal, illicit, unapproved, counterfeit and potentially dangerous drugs,” he added, noting that the products come in all different shapes and forms – some with sophisticated packaging and others in nondescript plastic bags. One of the key elements in SUPPORT is a subordinate act (STOP) that will require the US Postal Service to scan all packages arriving from overseas for illicit opioids and provide ‘package level detail information” in electronic format to CBP, to help it target high-risk shipments for inspection and seizure. It requires data transmission for at least 70 per cent of international packages by December 31, 2018, and 100 per cent from China, rising to 100 per cent from all overseas territories by December 31, 2020. In contrast to packages entering the US through private carriers such as UPS or FedEx, CBP does not currently receive advance electronic customs data for the majority of foreign mail. 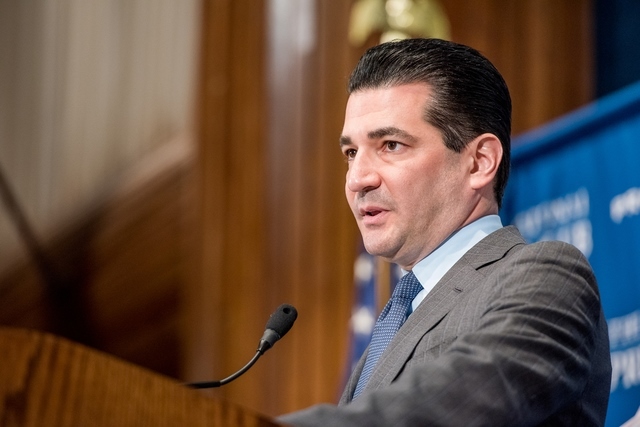 SUPPORT also means that the FDA will now be able to bring actions to debar those who have been convicted of a felony involving illegal importation of drugs or who have engaged in a pattern of importing certain adulterated or misbranded drugs for commercial sale, according to Gottlieb. Once debarred, the FDA can prohibit all future drug importation by that entity, which means “bad actors can't simply re-open their business under a different name and continue their illegal practices, as they do today,” he added.